At its June 15 meeting, the Roseville City Council approved a $493.8 million balanced budget for fiscal year 2016-17, which began July 1, 2016. The size of the budget reflects the full range of municipal services our city provides. Roseville is the Capital region's only full-service city, which means the city provides services that include electric, water and refuse utilities, parks, libraries and public safety. Very few cities in California offer the same breadth of services, which are usually provided by an assortment of special districts, companies and joint-power authorities. Higher quality, greater efficiency and local control are important benefits for our residents and businesses. The budget can be viewed and downloaded here. *At least 25 years old, with a Bachelor's or higher degree. The increase in number of people employed in Roseville is more than double the regional increase and 36 percent higher than the state increase. Property valuation in Roseville increased 6.82% in the past year to $19.699 billion, the highest property valuation in total dollars of any city in Placer County. Bank of America will undergo a major renovation valued at 2.3 million dollars for the 2221 Douglas Blvd. location. This branch has been operating in this location for 26 years. Energy Resource and Solutions, Inc. is locating at 151 N. Sunrise, S-1108. 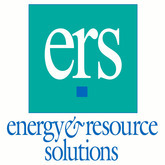 ERS assists clients in the development and deployment of clean technology projects and programs, including energy efficiency, maximizing economic performance, and minimizing environmental impacts. Prima Games was issued building permits for tenant improvements at 2990 Lava Ridge Drive, S-120, valued at nearly $50,000. Prima Games, an imprint of DK and a division of Penguin Random House Inc., is the world’s leading publisher of strategy content for PC and console video games. Fehr and Peers will be locating offices at 1013 Galleria Blvd., Suite255. The tenant improvement valuation for he 3,039 leased space is $131,000. Fehr & Peers specializes in transportation planning and engineering services for public and private sector clients. They have offices in California, Colorado, Nevada, Utah, Washington, and work on a variety of projects worldwide. TRI Commercial is processing tenant improvements for a 6,247 square foot office at 532 Gibson Drive, Suite 200. They focus exclusively on commercial properties: office, industrial, retail, multi-family and land. TRI maintains significant market presence in San Francisco, Oakland, Walnut Creek, Sacramento, Roseville and Rocklin, with advisors serving every major market and sub-market in the region. LifeMed ID is processing tenant improvements for 8,459 square feet of leased are at 3009 Douglas Blvd., Suite 250, valued at approximately $190,000. LifeMed ID provides a secure, user-friendly healthcare solution that allows clinicians to identify and utilize the correct patient records across disparate systems.